The National Hurricane Center says the eyewall of Hurricane Florence has reached the North Carolina coast with 87 mph maximum winds. • Florence is getting closer: As of 2 a.m. 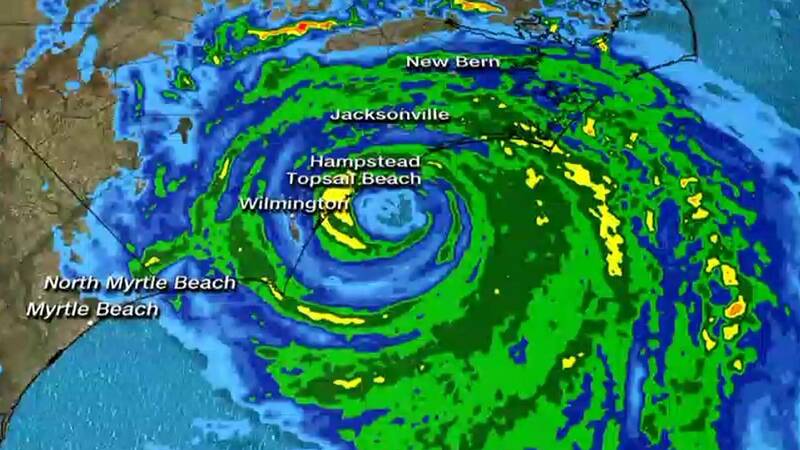 ET Friday, the center of Florence was about 35 miles east-southeast of Wilmington, North Carolina. The storm's forward speed had slowed to 6 mph, and forecasters were concerned it might have stalled.